Opened to the public in 2012, Tokyo Sky Tree is a recent addition to the tourist attractions in Tokyo! 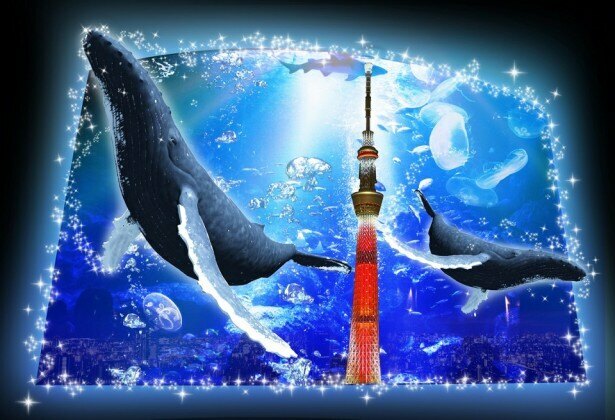 The Sumida Aquarium, which is located in Sky Tree Town, will hold many special events during Christmas season. Some of these attractions are unique in Japan, so you don’t want to miss them! Here are the main highlights. 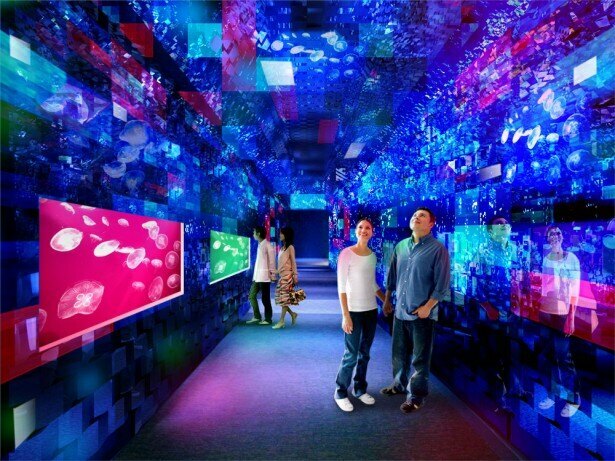 Eight jellyfish tanks are aligned on a 50 meters-long slope, and about 5,000 square and triangular mirrors are placed on the walls and the ceiling. The color changing lighting creates a magical environment where you will feel like you are walking inside a kaleidoscope. This kind of event is held for the first time in Japan. 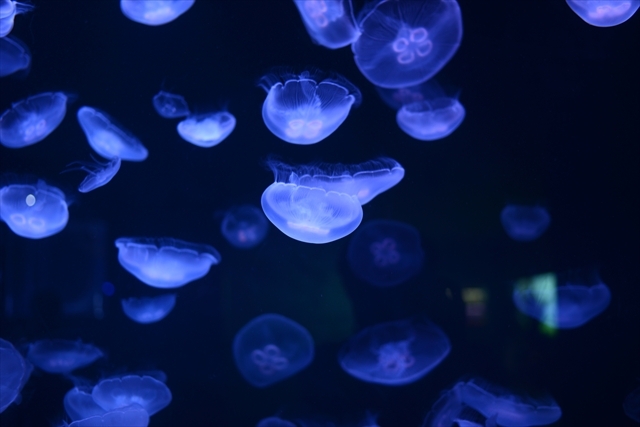 Inside the tunnel, the mesmerizing combination of jellyfish floating in the water and colorful lights will certainly be a memorable sight. From November 22nd, 2014 to January 12th, 2015. The sea near Ogasawara islands, a World Natural Heritage site, is famous for its whales. This event will recreate the sea with a projection on a 6 meters-high and 9 meters-wide water tank. Thanks to projection mapping, 15 meters long humpback whales that usually weight 30 tons will magically appear in the water tank. This attraction is based on stories – you can witness an emotionally moving scene where a parent whale looking for a baby whale who escaped from the Ogasawara area are finally reunited. 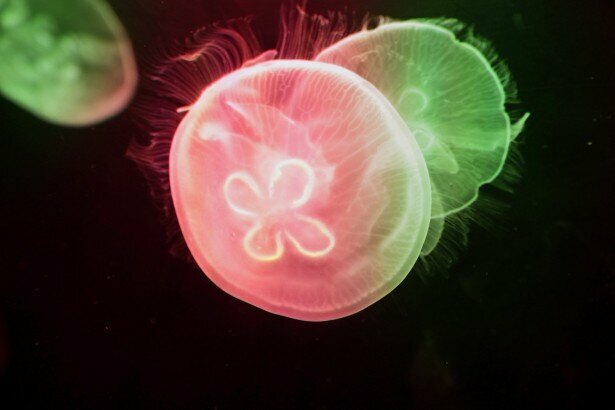 The permanently installed jellyfish tank is illuminated with Christmas colors! From November 22nd, 2014 to December 25th, 2014. 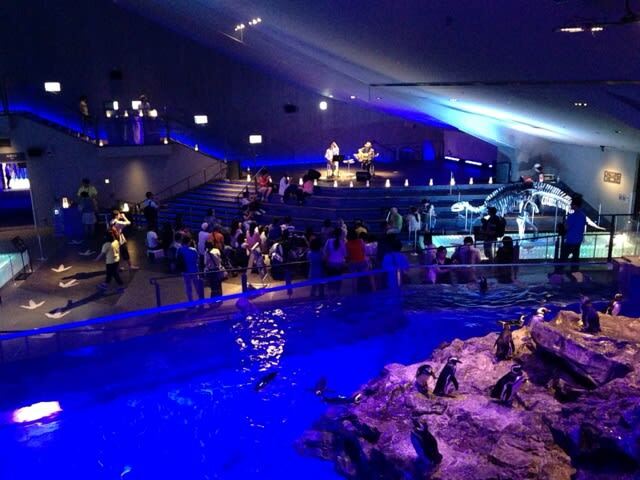 Artists will offer a live Christmas performance in front of the penguins water tank. The Sumida Aquarium has so much to offer during the holiday period! It’s certainly a great time to visit.